Life In A House of Blue ! : SweetPea3 - MP3 Player for Kids ! Home > Review > SweetPea3 - MP3 Player for Kids ! SweetPea3 - MP3 Player for Kids ! Our Family loves music, every member of our family has an MP3 Player except my 2yr old. He does seem to find a way to take one of his big brothers, he is not allowed to have them with the fear of him breaking them. I also do not like the idea of him putting the ear buds in his ear at this age . 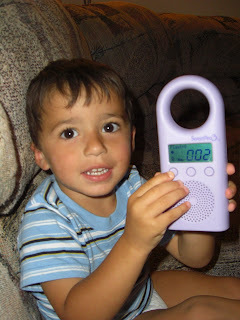 When I came across the SweetPea3 MP3 player for kids, I just knew this was perfect for Bryce. I was thrilled to be able to receive one for review. When it arrived the SweetPea3 MP3 Player has everything you need to get started right out of the box. To get you started, the SweetPea3 MP3 Player comes pre-loaded with music from award winning artist Susie Tallman & Friends and Jim Weiss, award winning storyteller. Ages 0-6 – even a baby can use it! You can play the pre-loaded songs and stories or download up to 16 hours of music and stories from your computer using the included USB cable. 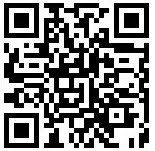 Soon you will be able to purchase music right from the SweetPea3 site here. The MP3 Player is encased in soft rubber that makes it comfortable to hold and tough in case it’s dropped, and it’s just the right size for little hands. The rubber overmolded design is very tough and can withstand a tremendous amount of abuse. Since there are no moving parts in an MP3 player, your child can enjoy skip-less playback time and time again with no worry about small parts breaking of. The speaker design means no headphones are needed, and with just three buttons, my 2 1/2 year old has no problem turning it on and scrolling through the songs ! I really like the parental features such as volume and play duration settings. The volume control is great you can set it and they can not change it !! You can also have it set to turn off in minutes or hours ! Bryce wants to take his MP3 player everywhere, it is great to hook on the stroller when we go for a walk, the car, around the house, nap time …..ANYWHERE ! Buy it : The SweetPea3 Player is available in violet & blue and can be purchased for $59.95 from their site HERE. How cool! My 22 month old constantly finds my 9 year olds MP3 player and has a fit when it's taken away from her. She doesn't understand why she can't have one! I'm off to check this out!! Thanks! This is just the coolest and really cute too. So simple I bet a lot of moms might like one for themselves. (I would) Some of the mp3 players out there are so high tech now with complicated apps and buttons. I just think it awesome the little ones can have one now. This looks great and something I could put near my daughters bed or hook on her stroller for walks. I'm checking out the site as soon as I post this! I think these are great for the little ones who can't understand why they can't have one like big brother or sister. Plus its simple enough for me to use too.